If you're looking to file your tax return for the 2014 tax year, take a look at these tax law changes for 2015, to get the biggest tax refund. Spoiler alert: The Affordable Care Act is the granddaddy of tax law changes this year. In fact, it's the largest single change to the tax code in 20 years. It's a complex one to dig into, so let's set it aside for now. Besides the ACA, there are a few interesting changes that could affect you when you file your 2014 tax return. Many students, by default, will calculate their Pell Grant funds as being used to pay for qualified education expenses, because their college applies the grant for tuition. It isn't wrong, but that amount will decrease the expenses eligible to be used to claim an education credit like the American Opportunity Credit. If you received payments this year in virtual currency, then you should include the fair market value of it with your annual income. So yes, it's taxable. Different calculations will apply if you invest in virtual currency or receive it as compensation for services. Health Flexible Spending Accounts (FSAs) are traditionally use-it-or-lose-it plans. You can save pre-tax dollars to pay for health care expenses, but they must be used within a plan year. As of 2013, you are allowed to roll over $500 from an FSA into the next plan year. Now there is another change. If you have an FSA this year and carry over $500 into 2015, you will be ineligible to participate in a Health Savings Account (HSA) in 2015. Yes, the entire year. This only applies to general purpose FSAs, not ones for specific uses like dependent care or dental expenses. You might need to plan ahead based on this new restriction. As Kevin Martin, a tax attorney at The Tax Institute at H&R Block points out, "If you really want to set up an HSA for 2015, it may be best not to carry forward those unused FSA amounts, even if it means that you will lose them." Being without a job is stressful, mentally and financially. For many job seekers, unemployment benefits provide a valuable bridge between their current situation and a new position. The bad news is that these benefits are taxable income. You will receive Form W-2 and/or Form 1099-G with the amount of benefits reported. Use this information to file your tax return. Additionally, a recent U.S. Supreme Court decision clarified that any supplemental unemployment compensation -- not tied to state unemployment benefits -- paid by a former employer to a laid-off employee will be taxable as wages, and therefore social security taxes will need to be withheld from them. This one's a tax change for 2015 -- it won't affect your 2014 return, but will affect your savings this year. Starting Jan. 1, 2015 you can only make one rollover from an IRA to another IRA in a 12-month period. A rollover is described as withdrawing the funds from one IRA, holding them for less than 60 days and then depositing them into another IRA account. Taxpayers can still make as many trustee-to-trustee transfers as they like over the course of a year. (That means you can tell Bank "A" to send your IRA funds to Bank "B" -- the money is never actually withdrawn and in your possession.) 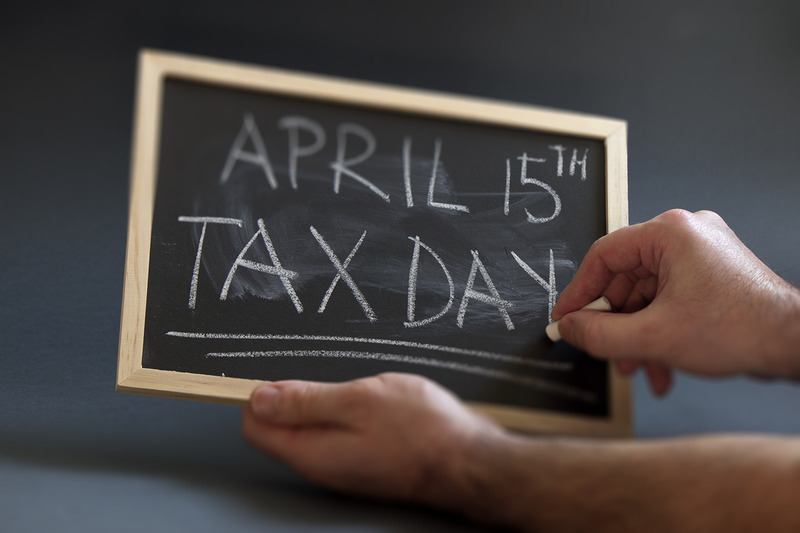 If you roll over more than one IRA, the withdrawals after the first will be taxed to you at regular rates, plus potentially a 10 percent early withdrawal tax. In addition, the disallowed rollover will be subject to the regular IRA contribution limits. If the rolled over amount exceeds your allowable IRA contribution, it will be treated as an excess contribution and subject to a 6 percent excise tax. The takeaway: Withdraw IRA funds with great care and attention in 2015 and going forward. Most of the time the phrase "foster care" conjures an image of a child being placed with a family, unrelated to them, for temporary care. While that is a correct impression, for tax purposes the definition is now a bit broader. If you provide non-skilled medical support services or care for a person, living in your home, who has physical, mental or emotional issues, and you receive payments from the state or certified Medicaid provider, those payments can likely be excluded from your taxable income. Even if the person is related to you. "This new guidance from the IRS is a complete about-face from its old position," said Lynn Ebel, a tax attorney and manager of The Tax Institute at H&R Block. "The IRS used to tax this money received for care for relatives since they couldn't possibly meet the definition under the tax-free rules of being a foster child. Now thanks to this new clarification of the definition, taxpayers who care for their family members can receive the same tax-free treatment." As tax-free money, however, it is not earned income used to compute the Earned Income Credit. The standard deduction amounts have also increased a bit. Single or married filing separately is now $6,200, a $100 increase from 2013. Head of household is $9,100, a $150 increase. Married filing jointly or qualifying widow(er) is $12,400, a $200 increase. These will be higher if you are over 65 years old, or if you are blind. Finally, each exemption claimed in 2014 is $3,950, a $50 increase. The higher education tuition deduction, which allowed taxpayers to deduct between $2,000 and $4,000 of qualified tuition expense. Energy credits, which included credits for home improvements that benefited energy efficiency like heating and cooling systems, insulation and windows. Educator expense deduction, which allows teachers to claim up to $250 of unreimbursed classroom expenses.